When you’re running ads on your blog, it pays to have some variety. With one ad slot, you can run one ad that people get tired of after a week, or you can run a half-dozen ads in that same slot, rotating between views and refreshes. If you browse the internet with ads enabled, you’ve seen this a million times before. Rotating ads are the default when it comes to third party ad networks, though often in-blog ads for the blog’s products aren’t rotated. With ad rotations, you can double or triple your ad slots and give each ad an amount of rotation based on whatever criteria you want. You just need to implement it. But how? If you’re using Google’s AdSense for your ads, you don’t need to do too much of anything. Ad rotation is largely controlled from the advertiser side, where the advertisers have options for their ad sets to rotate ads within those sets. It’s also at the auction level, so you won’t be able to measure the rotations set by the advertiser on your site because they’re probably on a dozen other sites as well. If you’re interested at a peek into the advertiser’s side of things, you can read more about these ad rotations in Google’s help center here. You can use a script of some sort to rotate the ad module that appears on the page, but there’s no sense in doing so. AdSense displays ads based on the content of the page, which doesn’t change from rotation to rotation. Each “rotation” would simply end up showing the same ads. You end up running a script for no reason, which slows down your site and can hurt your SEO. 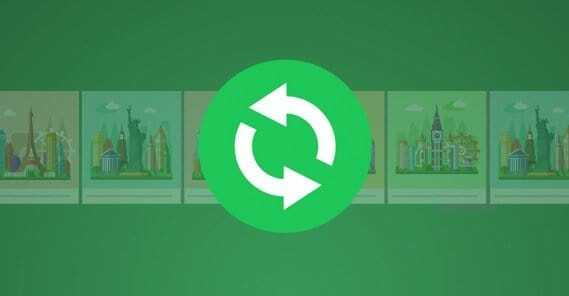 If you want to rotate between AdSense ads, ads for another PPC network, and blog-based ads, you can do that with an ad rotation script. 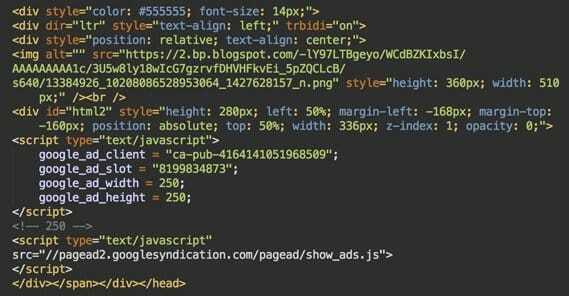 The most flexible and customizable option is simply to code a kind of ad rotation script yourself. Max Sanborn has a series of scripts of increasing complexity here for you to try. So what do these scripts do? At first it’s pretty simple. The first one just switches between two different ads, basically for split testing. It’s a simple version of a rotation script, but it gets the job done if you only have two ads or ad modules you want to feature. The second one adds a third ad to the mix, and then additional script examples show you how to randomize the rotation rather than swap back and forth between them. You can also build PHP arrays to rotate through if you so desire. They’re a little bit more complicated but are also more resilient to changes. If you want to take a different path, you can check out the sample script on this Stack Exchange page. It uses JQuery to do the rotation and is quite a bit more complex, but also does dynamic rotations. If you want to be extra clever, one thing you might consider is tracking some data about the user when they load the ad. For example, if you harvest the IP Address information from the visitor, you can then save that as well as a count of which ads the user has seen and how many times those ads have been displayed. This allows you to do things like ensure users see unique ads each time they visit your site, or ensure certain levels of fill rates. As I mentioned above, you can do something clever from the advertiser side as well. If you’re filling in ads manually and thus are negotiating deals on your own, you can do volume-based calculations. If brand A pays $1 per click and brand B pays $2 per click, you can make sure to show ads from brand B twice as often as ad from brand A. They’re paying for it, after all. “Shouldn’t someone have come up with these scripts already?” Well, of course. To engineer the scripts from scratch is a double-edged sword. On one hand, it’s reinventing the wheel, where you could instead just use the work other people have already done. On the other hand, when you’re done, you get a completely custom solution for your ad rotation that you have full access and knowledge to tweak and adjust depending on your needs. Third party solutions don’t always offer that functionality. That said, there certainly are some available third party solutions, which I’ve compiled below. These are the sort of options you have at your disposal. That said, the pro versions have a lot more options. You have to pay for it to get live preview, ad weighting, mobile ads, and a fallback group of ads. Widget injection is locked, as is ad selection based on scheduling, weekday, time ranges, or impression spread. You don’t get location targeting for free, nor do you get Google Analytics integration. Overall, the free version is functional but quite limited. As far as pricing is concerned, for the most part it depends on how many websites you want to use. The single license is 30 Euros, which scales up to the top-tier developer license for 200 Euros. As far as the usual WordPress statistics go for the plugin, they’re relatively good. It has a 4.5 out of 5 star rating with over 350 positive reviews, and is actively updated so you don’t have to worry about an old plugin with security holes. They have also been quite good at resolving issues in the support center. 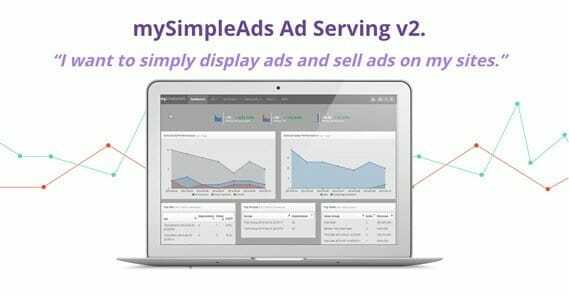 Where AdRotate is a WordPress plugin that pulls external ads and rotates serving them, MySimpleAds is a full-scale self-hosted ad server. It’s designed for medium-sized businesses, so it’s not really appropriate for small blogs, but you can use it if you plan to scale. With MSA, you’re able to operate a central console with access to all of your ads. You can publish them on any site you have configured to use it all from that location. It works on any device, it allows you to directly sell ad space, and it runs on shared hosting. The only downside is that, well, it’s designed primarily for you to make your own ads and sell ad space. 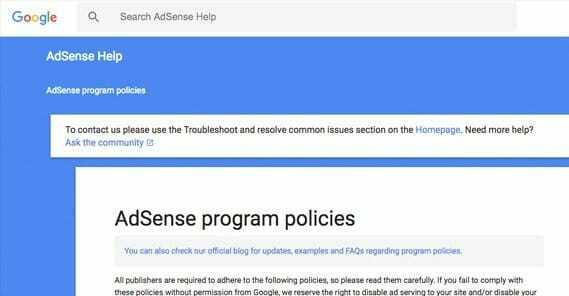 You can’t import or integrate ads with AdSense or other ad networks directly into MSA. As far as pricing is concerned, you’re looking at an initial cost of $104, which gets you the code for the server, a year of support, open code that doesn’t expire on you, and free updates for a year. You also have a 30-day guarantee if you want to test it out and find it doesn’t suit your needs. After the first year, you can purchase continued support and updates for just $44 per year. The requirements to set up and configure MSA are light, as well. You need SQLite, MySQL 5.1 or higher, and PHP 5.3.3 or higher. Just about any modern host should be able to accommodate that. PLX is hosted on some sketchy-looking hosting, but that shouldn’t deter you. 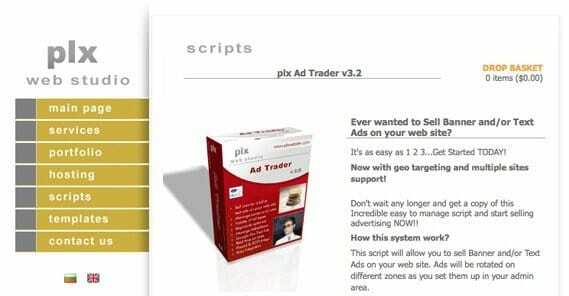 It’s a script that allows you to sell and rotate through ads on your site. Think of it like the custom solution you were going to engineer above, but put together for you for a price. The script actually has a members area for advertisers to configure their ads directly through your service, though you of course have control over what runs and what is rejected. The whole package is $60, and you can pay an extra ten for installation and twenty for support. AMY is another of these customized solutions for ads, running on PHP and SQL like many other options. You have unlimited advertizing zones on your site, rotation based on CPC, time, or impressions, different pricing plans for selling ads based on location and type, and more. It’s very much like PLX, with a few more features and a bit lower priced. It’ll run you $30 for the code, which is open source and yours forever. 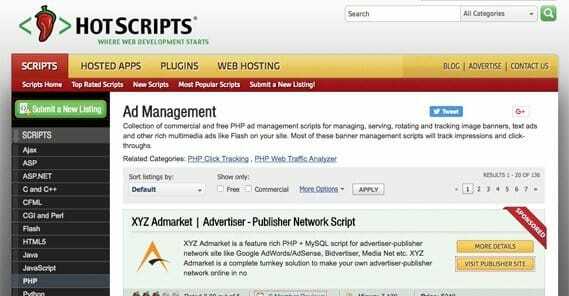 The link above is a link to HotScripts, a site that compiles and rates scripts for various purposes. In this case, I’ve linked you to the category for ad management scripts. It’s where the PLX and AMY scripts came from, and it’s where a bunch of others live as well. All of them have source websites you can visit, and details about their pricing and rating readily available. I haven’t personally tested or used any of the scripts on that page. I mention this because it means I can’t vouch for their quality, their stability, or their safety. Any time you purchase an add-on, a script, or any management tool, you should check it for access issues. This holds doubly true for something like an ad management dashboard that allows potential advertisers to log in. You don’t want it to be spammable or to act as a gateway into your site where outsiders shouldn’t be able to access. Ideally, you should know enough code to be able to scan over it and make sure nothing sketchy is happening, though I understand that’s not always possible. Going back to number one for a moment, there are certainly other options you can use for ad management besides just the one I mentioned. The article I linked above, from Blogging Wizard, offers you details on Ads Pro, WP Pro Advertising System, WP In Post Ads, WP Quads, Elite Video Player, AdRotate again, WordPress Ad widget, Advanced Ads, and Ultimate Ads Manager. They all have their own selection of pros and cons, and they have a variety of different price points, so you’re pretty likely to find something that works for your needs. If not, I have a similar article on this site you can read here. 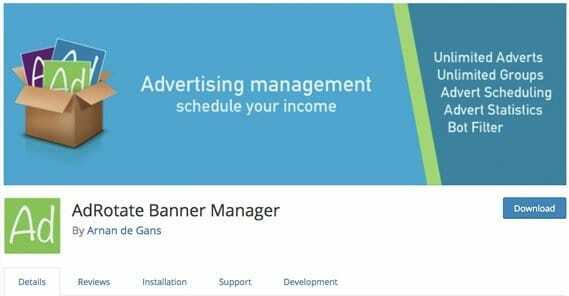 As you can see, it’s generally easy to create a self-serve ad system or to use simple AdSense than it is to combine the two. I wouldn’t recommend shoving AdSense into a blind rotation, anyways; as mentioned, you might just get yourself banned.